Tender for the selection of a contractor for the construction of the Project "Permanent water firefighting system installation at Dry Docks of Vassiliadi Coast." 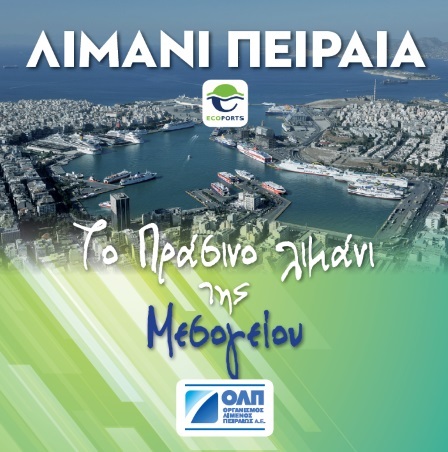 Piraeus Port Authority S.A. announces a tender for the selection of a contractor for the construction of the Project: "Permanent water firefighting system installation at Dry Docks of Vassiliadi Coast. ", according to the terms of the attached declaration and Technical Description. Award criterion shall be the lowest price. Interested parties are invited to submit their offer (alternative/second offers are excluded) in writing, until Tuesday 24th July 2018, 12:00. Please visit regularly PPA SA website in order to be promptly informed about the above mentioned tender. Piraeus Port Authority S.A. is interested in concluding a contract, for Supply and Installation of one (1) cooling VRV system for Argosaronikos Building, according to the attached technical specifications. Interested parties are invited to submit their offer (alternative/second offers are excluded) in writing, until Wednesday, 18th July 2018 and 14:00 hours. Please visit regularly PPA SA website in order to be promptly informed about the above mentioned tender. Tender repetition for the selection of a contractor for the construction of the Project: "Cleaning of Stormwater Ducts at G2 Car Terminal "
Piraeus Port Authority S.A. announces that the tender procedure for the selection of a contractor for the construction of the Project: "Cleaning of Stormwater Ducts at G2 Car Terminal ", is cancelled and immediately repeated according to the terms of the attached declaration and Technical Description. Award criterion shall be the lowest price. Interested parties are invited to submit their offer (alternative/second offers are excluded) in writing, until Wednesday 11 July 2018 at 15:00. In order to facilitate the process, companies that have already submitted an offer may submit the same participation documents and guarantee letter. Please visit regularly PPA SA website in order to be promptly informed about the above mentioned tender. Clarifications regarding the tender "Works for the transformation of the office G8 at the Headquarters building of SEMPO in a New Conference room and a Storage room"
Regarding the tender for the selection of a contractor for the construction of the Project: "Works for the transformation of the office G8 at the Headquarters building of SEMPO in a New Conference room and a Storage room”, it is clarified that the deadline for offer submission is until Friday 6th July 2018, 12:00. Please visit regularly PPA SA website in order to be promptly informed about the above mentioned tender. Tender for the selection of a contractor for the construction of the Project: "Cleaning of Stormwater Ducts at G2 Car Terminal"
Piraeus Port Authority S.A. announces a tender for the selection of a contractor for the construction of the Project: "Cleaning of Stormwater Ducts at G2 Car Terminal", according to the terms of the attached declarationand Technical Description. Award criterion shall be the lowest price. Interested parties are invited to submit their offer (alternative/second offers are excluded) in writing, until Thursday 5 July 2018 at 14:00. Please visit regularly PPA SA website in order to be promptly informed about the above mentioned tender. Τender for the selection of a contractor for the construction of the Project: "Works for the transformation of the office G8 at the Headquarters building of SEMPO in a New Conference room and a Storage room"
Piraeus Port Authority S.A. announces a tender for the selection of a contractor for the construction of the Project: "Works for the transformation of the office G8 at the Headquarters building of SEMPO in a New Conference room and a Storage room", according to the terms of the attached declaration and Technical Description. Award criterion shall be the lowest price. Interested parties are invited to submit their offer (alternative/second offers are excluded) in writing, until Friday 6th July 2018, 12:00. Please visit regularly PPA SA website in order to be promptly informed about the above mentioned tender. Tender for the selection of a contractor for the construction of the Project: "Opening of access holes at the rainwater pipes of G2 Car Terminal"
Piraeus Port Authority S.A. announces a tender for the selection of a contractor for the construction of the Project: "Opening of access holes at the rainwater pipes of G2 Car Terminal", according to the terms of the attached declaration and Technical Description. Award criterion shall be the lowest price. Interested parties are invited to submit their offer (alternative/second offers are excluded) in writing, until Friday 29th June 2018 and until 12:00. Please visit regularly PPA SA website in order to be promptly informed about the above mentioned tender. Tender for the selection of a contractor for the construction of the Project: "Reformation of the external areas of Miaoulis Terminal (Terminal A) and renovation of existing parking area near the exhibition centre of PPA SA"
Piraeus Port Authority S.A. announces a tender for the selection of a contractor for the construction of the Project: "Reformation of the external areas of Miaoulis Terminal (Terminal A) and renovation of existing parking area near the exhibition centre of PPA SA", according to the terms of the attached declaration, Technical Description and designs. Award criterion shall be the lowest price. Interested parties are invited to submit their offer (alternative/second offers are excluded) in writing, until 29th June 2018. Please visit regularly PPA SA website in order to be promptly informed about the above mentioned tender. Τender for the selection of a contractor for the construction of the Project: "Maintenance works at the external area of the ex-ODDY"
Piraeus Port Authority S.A. announces a tender for the selection of a contractor for the construction of the Project: "Maintenance works at the external area of the ex-ODDY", according to the terms of the attached declarationand Technical Description. Award criterion shall be the lowest price. Interested parties are invited to submit their offer (alternative/second offers are excluded) in writing, until Friday 29thJune 2018. Please visit regularly PPA SA website in order to be promptly informed about the above mentioned tender. Tender for the selection of a contractor for the construction of the Project: "Damage restorations of concrete and banisters at dry Docks"
Piraeus Port Authority S.A. announces a tender for the selection of a contractor for the construction of the Project: "Damage restorations of concrete and banisters at dry Docks", according to the terms of the attached declarationand Technical Description. Award criterion shall be the lowest price. Interested parties are invited to submit their offer (alternative/second offers are excluded) in writing, until Friday 29th June 2018. Please visit regularly PPA SA website in order to be promptly informed about the above mentioned tender.